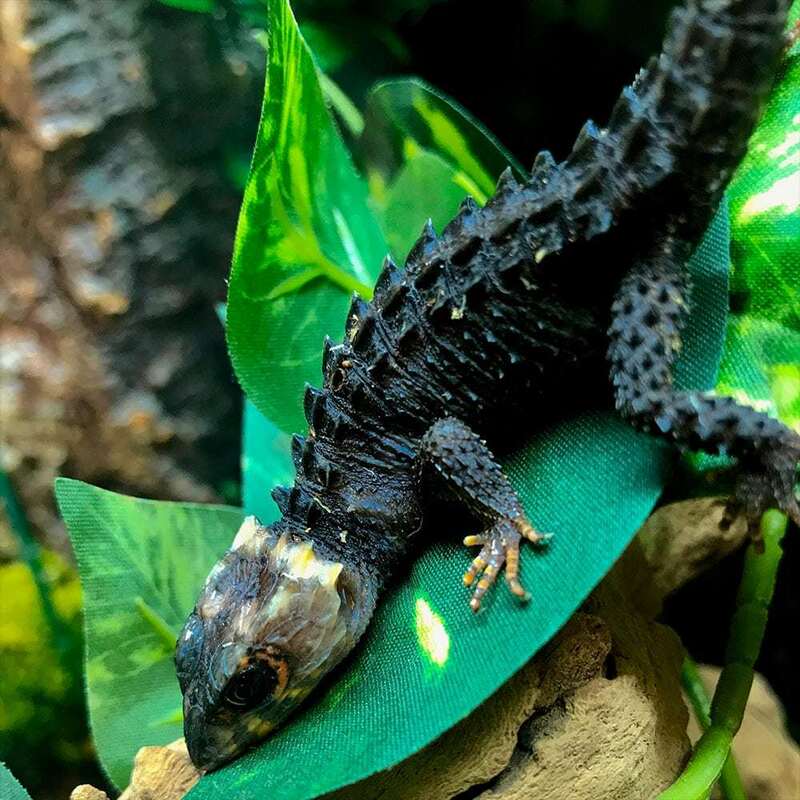 Red eyed crocodile skink for sale | baby red eye crocodile skinks for sale online near me red eye crocodile skink breeder of captive bred skinks for sale online. The red-eyed crocodile skink is an amazing little lizard! Thought of as owning your own dinosaur, these little dino-looking skinks have a strong, stout body and legs, and is dark brown dorsally and laterally, with a yellowish, cream-colored underbelly. 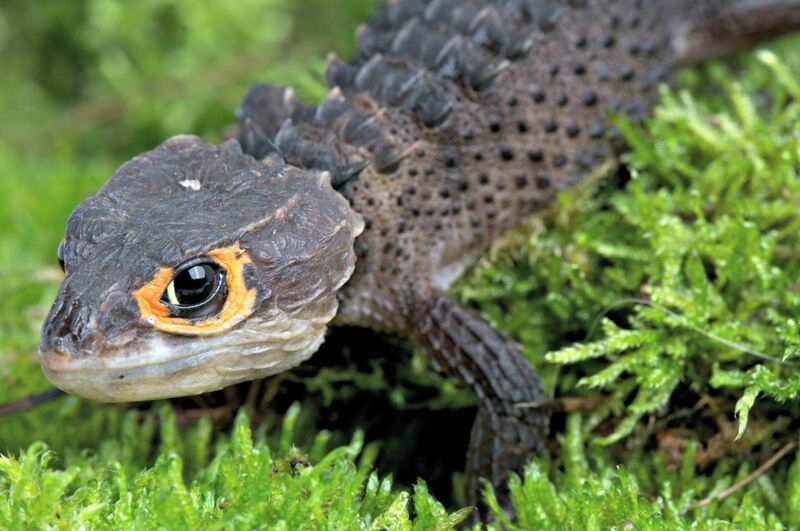 It derives part of its common name, “crocodile skink,” from its four rows of dorsal, backward-curving keeled scales, each one tapering to a point, which resemble the dorsal scales of a crocodile. The flanks of T. gracilis have tubercles, whereas the flanks in T. novaeguineae have small keeled scales. In T. gracilis, the iris is dark brown and decorated by a bright reddish-orange semicircle of scales, while T. novaeguineae has only a small patch of light orange-to-yellow coloration at the front of the eyes. 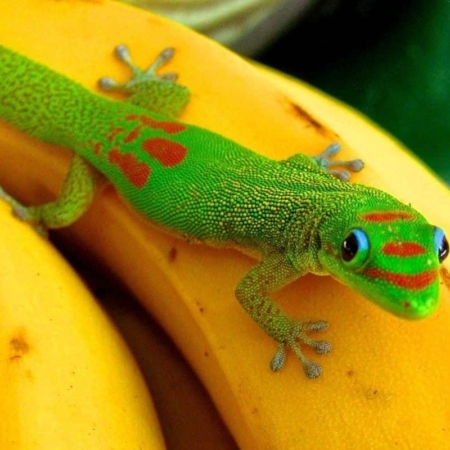 The length of both skinks is 8 to 10 centimeters (snout to vent), with a tail roughly the same length as the body. 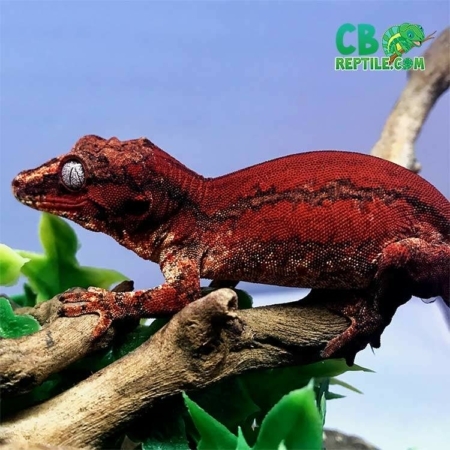 Red eyed crocodile skinks for sale are the most popular of all of the crocodile skinks for sale online. Our captive bred baby red eye crocodile skinks are from top genetic lines and are some of the nicest red eyed crocodile skinks for sale online you are ever gonna see! 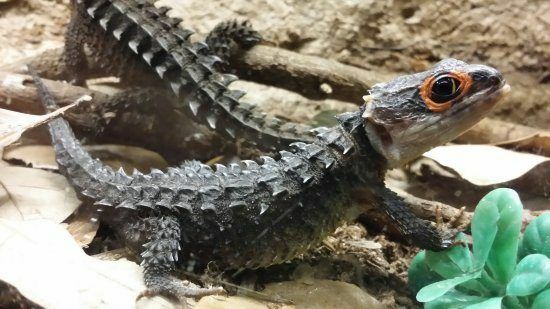 Before purchasing y0ur new baby red eye crocodile skink for sale, or any baby red-eyed skink for sale online, consider finding the right captive-bred red eye crocodile skink breeder. As crocodile skink breeders, we are working with some of the top red eye crocodile skink lines in the USA. Our captive bred baby red eye crocodile skinks for sale online all come with our full live arrival and 7day health guarantee. 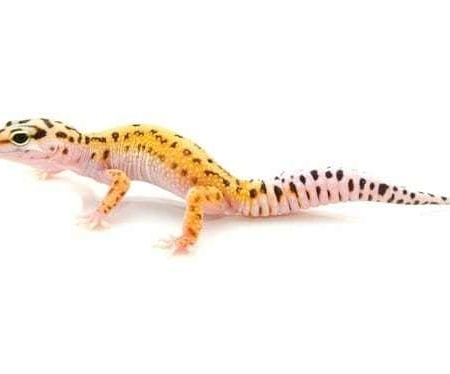 With a biologist ON SITE, CbReptile.com is your source for the highest quality baby red eye crocodile skink for sale online you will find anywhere! Order up to 4 animals and pay one flat rate shipping fee of 39.95! 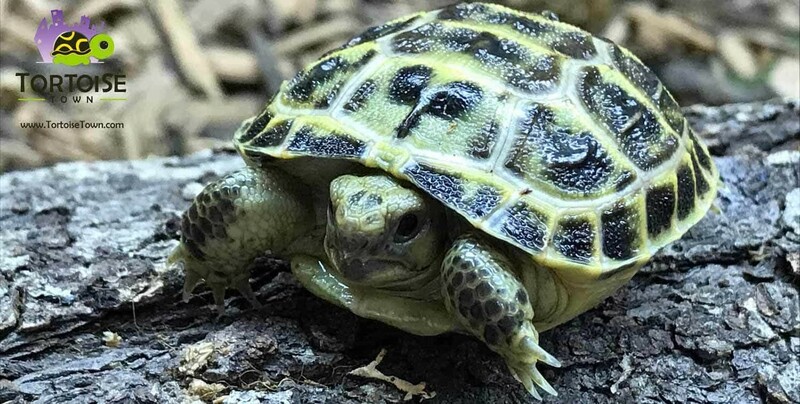 All of our reptiles for sale online ship in heated/cooled containers year round via UPS & Fedex, leaving our facility at 7 pm and arriving on your doorstep the following morning by 10:30 am! 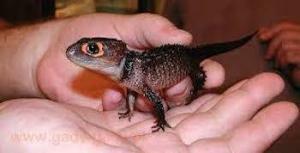 Looking for a baby red eyed crocodile skink for sale? 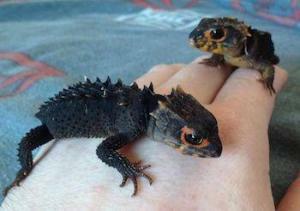 We’ve got some awesome baby red eye crocodile skinks for sale online here at CBReptile! 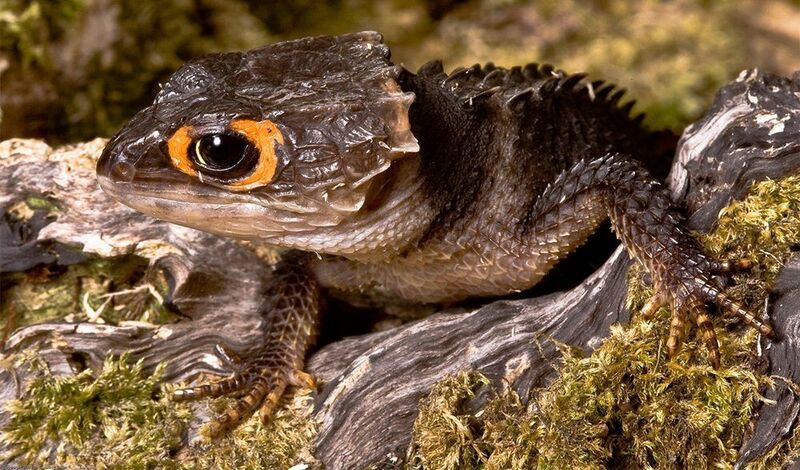 The red-eyed crocodile skink has a strong, stout body and legs, and is dark brown dorsally and laterally, with a yellowish, cream-colored underbelly. It derives part of its common name, “crocodile skink,” from its four rows of dorsal, backward-curving keeled scales, each one tapering to a point, which resembles the dorsal scales of a crocodile. The flanks of T. gracilis have tubercles, whereas the flanks in T. novaeguineae have small keeled scales. In T. gracilis, the iris is dark brown and decorated by a bright reddish-orange semicircle of scales, while T. novaeguineae has only a small patch of light orange-to-yellow coloration at the front of the eyes. The length of both skinks is 8 to 10 centimeters (snout to vent), with a tail roughly the same length as the body. Red-eyed crocodile skinks are shy, crepuscular (active mostly at dawn and dusk) lizards. They are also capable of vocalizations when threatened or defending their offspring. Vocalizations of both male and female skinks have been recorded and analyzed. Interestingly, the analysis performed by Hartdegen, Ruston et. al (2001), shows there are differences between male and female vocalizations; thus, there seems to be sexual acoustical dimorphism in this species. Juveniles have the same body type and skin texture as the adults, but differ noticeably in their head and eye coloration. 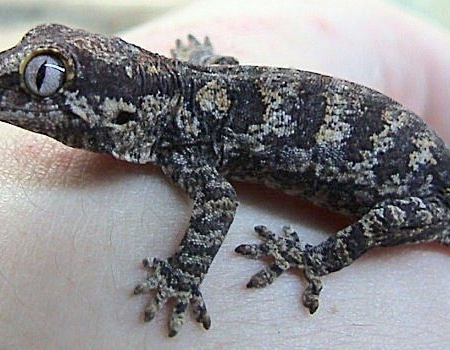 The head of a juvenile T. gracilis is a creamy brown color, the iris is light blue, and the eyes have no sign of the reddish-orange scales that are present in the adults. Mature coloration comes at about 6 months of age. 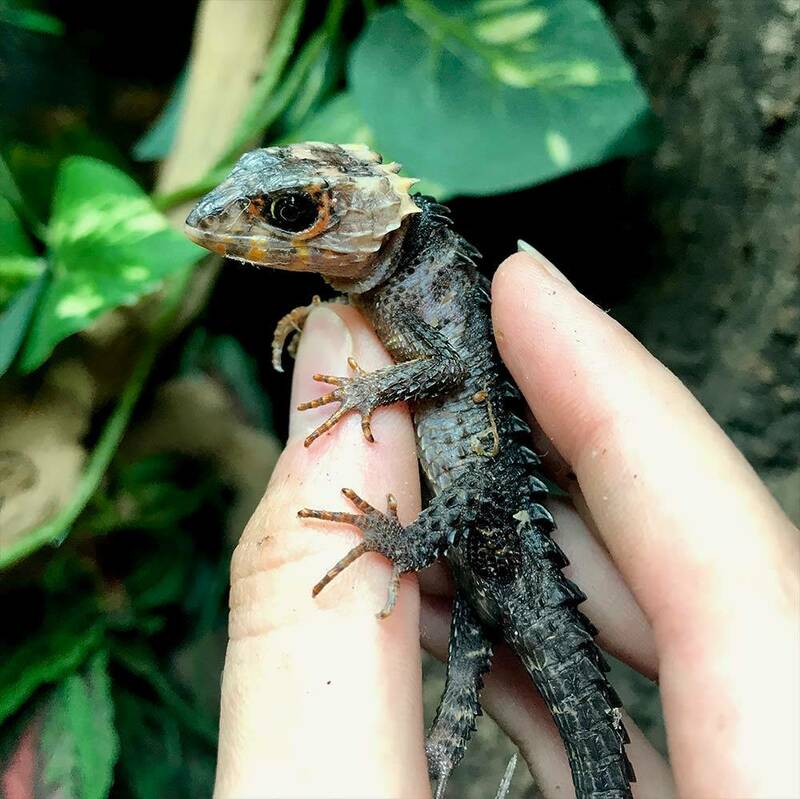 When setting up your new captive bred baby red eyed crocodile skink for sale habitat, be sure to: Provide several hiding spots, allowing the skinks to choose the ones they feel most comfortable in. Large coconut huts, or slightly curved pieces of cork bark, work well. If the pair are compatible, they will eventually choose to stay together in a single hide. Make an indentation, several inches deep, directly underneath the chosen hide and fill it with a loosely packed, slightly damp mixture of peat moss and potting soil for the pair to dig into.